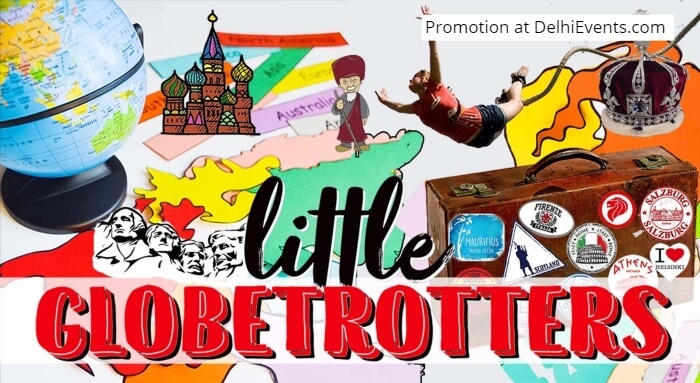 Event Description : Hands On presents "Little Globetrotters" Workshop for Kids. In this interactive camp, kids "travel" the world, exploring one country at a time, with hands–on learning games and activities. They find out amazing facts on wildlife, exotic plants, how people live, sports, food, festivals and other quirky insights about different parts of the world. Kids have fun discovering not only the well-known locations like the Leaning Tower of Pisa or the ‘Coathanger’ Bridge in Sydney, but they also ‘visit’ out-of-the-ordinary places like the Santa Claus village in Rovaniemi or the Terracotta Army in Xi'an. Inspiring Little Globetrotters to become curious travellers!